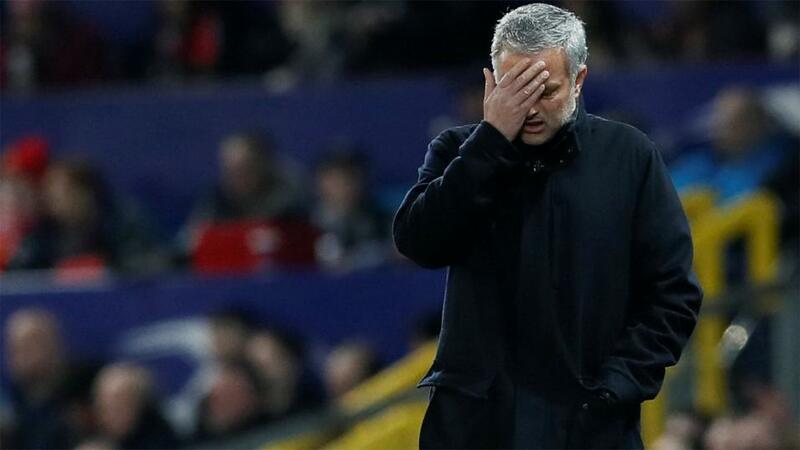 Mourinho's run of four league games without victory could be extended this weekend. "The two results showed a new strength at City and a new weakness at Chelsea that leaves Guardiola’s side clear favourites ahead of Saturday’s game at Stamford Bridge." Liverpool's issues concerning creativity remain despite their three-goal haul at Burnley, with Roberto Firmino's poor form and a flat-footed midfield making it difficult for Jurgen Klopp's team to create chances against increasingly deep defences. This pattern will likely repeat at Dean Court, where Eddie Howe has dropped his side into a compact defensive shell, and so Klopp will probably start Xherdan Shaqiri in the midfield of his 4-3-3. That could spell trouble. Ryan Fraser already has four goals and seven assists this season, his directness from the left wing proving important to Bournemouth's new focus on counter-attacks; Fraser scored and assisted in the 2-1 win against Huddersfield on Tuesday night. Clearly Liverpool need a plan to stop Fraser from dribbling down the left and releasing Callum Wilson or Joshua King, and yet should Shaqiri start the visitors will be light on that flank. Trent Alexander-Arnold will patrol the right side alone as Shaqiri drifts infield and stays high up the pitch, meaning that after long periods of Liverpool pressure Bournemouth could win the ball and suddenly find a vacant flank to sprint into. Wilson in particular leans left to support Fraser, so together these two will cause problems behind a Liverpool defence missing the pace of the injured Joe Gomez. This emotional, individualistic Manchester United team are unsurprisingly able to motivate themselves for a big game like Arsenal in midweek, but lacking leadership or tactical coaching they struggle to find the tempo or creativity for lower profile games. On a run of four successive league games without victory, it wouldn't be a surprise should Fulham hold out for a point. Claudio Ranieri has begun to instil some defensive resilience into his players. They ultimately remained far too soft in the centre for the trip to Stamford Bridge, with Jorginho sneaking away from Tom Cairney to control the game, but United don't have the congruence to expose Fulham's yo-yoing between Ranieri's narrow, deep defensive blockade and their old habits of a wide-open midfield. Calum Chambers has led the way for Ranieri, averaging five tackles and four interceptions per match since the Italian took charge, which is worrying for the hosts. Jose Mourinho is relying on the ingenuity of Jesse Lingard and Marcus Rashford of late, both of whom operate most effectively in the number ten space. If Fulham stay compact, a nervy United side will probably be stumped yet again. Burnley have now gone eight Premier League matches without a win. Sean Dyche desperately needs victory, and in circumstances like these what's required is a scrappy victory via one moment of quality. The crossing ability of Robbie Brady and Johann Gudmundsson could make the difference against a depleted Brighton. Shane Duffy's suspension seriously weakens their central defence, particularly when defending high balls (he wins 4.5 aerial duels per match, the fourth highest in the division among centre-backs). Consequently, this could finally be the day Burnley's deliveries from out wide hit their target; crossing was a huge part of their attack last campaign, but not so much in 2018/19. They only average 4.9 accurate crosses per game, compared with 6.9 per game last season, while headers remain their best source of a goal (six out of their 14 in the league so far). Rediscovering their aerial dominance going forward is also made more likely by Brighton's own attacking bluntness. Glenn Murray's injury means the visitors are likely to be stripped of their talisman, potentially making it easy for the hosts to keep the score at 0-0 and push for a late set-piece goal. Man City's victory over Watford and Chelsea's defeat to Wolves in midweek left Maurizio Sarri's side ten points behind Pep Guardiola's, ending any slim hopes of a title challenge for the Italian in his debut year in the Premier League. But more importantly, the two results showed a new strength at City that leaves Guardiola's side clear favourites ahead of Saturday's game at Stamford Bridge. Bernardo Silva has excelled throughout his time covering for Kevin de Bruyne, but while he has always wandered out to the right flank more than the Belgian his positioning at Vicarage Road was particularly unusual. Silva essentially played as an inverted right winger, with Riyad Mahrez also wide right and Kyle Walker supporting, ensuring the visitors dominated on that flank with two out-and-out right wingers. The plan was to avoid the middle of the park, where Watford flood the pitch, and it worked a treat. We should see more of the same at Stamford Bridge after Wolves twice scored via attacks down Chelsea's left side. Andreas Christensen struggled in the second half, losing Raul Jimenez ahead of his equalising goal, while Marcos Alonso was typically wayward as Wolves crossed from the byline to score the winner. City's biggest attacking strength exactly correlates with Chelsea's biggest weakness.